In the world that is driven by smartphones connected to high-speed internet, mobile apps are not a luxury for businesses anymore, but a necessity. We at Fast Conversion help businesses provide their customers with beautiful, smooth and highly functional software. 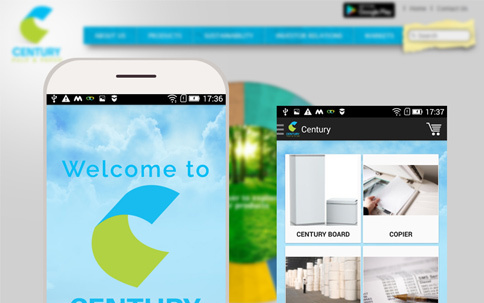 Our company programmers design and develops app for Android and iOS devices. 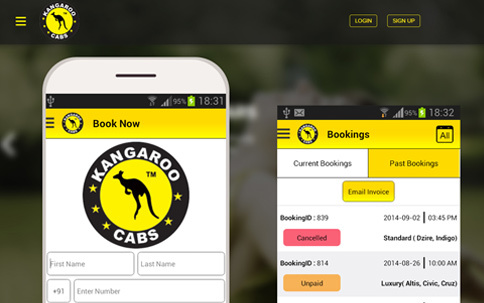 We also make mobile web apps for businesses with responsive design, and by using modern web standards. Mobile or smartphone apps are the new way how the websites are being accessed these days. In the past, people mostly used only the search engines to find products or games or news, but now they hunt the app-stores for the same. Through mobile app development for iTunes and Android app stores, your business will become a part of the online ecosystem that is growing rapidly. You can open up your business to a whole new demography of customers. The client service is outstanding, I absolutely love working with Fast Conversion, they are very professional and no task is too big or small for the company. .. Awesome communication, I worked with Fast Conversion, and the company is a pleasure to work with. Our project was very difficult and complex, included custom laravel and psd to html5 conversion. De..
Easy to work with the business developer. Fully satisfied with this team. Highly recommended. They are responsive and good in technical knowledge. Will definitely hire Fast Conversion again. Thanks! ..
Why Choose Us For Mobile App Development? With our mobile app development services, we develop software of any kind. Our developers have worked with very diverse set of clients, ranging from restaurants and real estate companies, to hardware, and consumer product shops online. They have invaluable experience with both Android and iOS. We guarantee to create quality mobile apps that serve their purpose beautifully. Every app that we create for both, Android and iOS, is designed and developed from the scratch. We clearly understand that the web solution requirements for each business will vary from others. Our developers create apps that are optimized for the platforms that our clients need, so that it never fails to achieve the ultimate purpose for which they are made. Along with great apps, we also provide analytics, so that our clients can find out how the users are using the software. We give you insight into how frequently and in what manner, different features of your apps are being used. This allows businesses to modify the sales strategies to match their customer needs. The mobile apps we develop will be used on literally hundreds of different types of devices, especially when it comes to Android. We test the apps on most of the mobile frameworks, so they are guaranteed to work identically across these various mobile models and makes, thereby giving a consistent brand exposure for your business. Developers from our company test the apps extensively to make sure that every feature that is available, works as it is intended. We value the stability of your apps more than anything else. We specialize in developing native apps for both iOS and Android. We optimize them using native API’s, so that they provide the best possible performance on each device. Our professional services will help you showcase your apps to customers in relatively short timeframes. We give an estimated time and date for completion, even before starting the development for our clients, and we always stick to the turnaround time. Not all businesses have apps for their products or services yet. By adopting mobile app development, businesses can stand out from the crowd, and give their customers a more polished view of the brand, as compared to the competition. Since more and more people access information, and buy products through the apps, your business should also have one. Your company can find more customers by opening up to the mobile phone users. Even if websites have web applications, most users prefer to use apps for specific purposes. Obviously they won’t have to type the URL each time. Apps are basically developed as the front-end interface, while most of the tasks are still handled by the web servers. People tend to use apps more, because when they want to get something done, using something that is installed on their phones and tablets is easier, than accessing a website or software installed on their computers. Businesses can get more people using their products, simply by offering them the software on their smartphones. When a business builds a mobile app, it creates a very direct avenue for marketing new features and products. With our mobile app development services, there is no need to rely solely on the marketing emails that get ignored most of the time, and provide relatively little ROI. Research into consumer trends increasingly shows that the brands which have their own mobile apps have greater brand engagement with existing and potential customers. This is because it brings different aspects of your products into a central place.